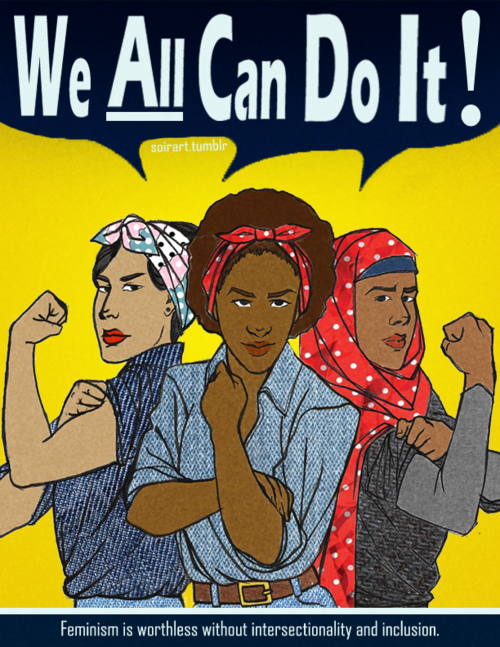 “You cannot be a feminist and believe in religion”, a respected colleague who works with women from Middle Eastern and Afghani backgrounds, declared to me two weeks ago, a statement that hurt me a little but wasn’t surprised by as I have often heard it before. The following week I chaired a conference on intersectionality as part of the Strategic Partnership between the boroughs of Westminster, Kensington & Chelsea and Hammersmith & Fulham to tackle Violence Against Women and Girls. The conference discussed the importance of taking account of the differing facets of our identities, and where they intersect as a starting point of the support and service survivors of domestic and other forms of gendered abuse, receive from specialist organisations and charities. It therefore follows that tackling any form of violence and abuse requires a nuanced and holistic approach that should be led by the needs and safety of survivors. Many of whom identify and align themselves with faith and spirituality. Historically the women’s sector and those who work in supporting victims and survivors of domestic abuse or so called honour-based violence have been, at best and with good reason, ambivalent to engaging with religious and faith actors and or institutions that are part of a survivor’s social network and form and support a component of their sense of self. This failure, I believe, is leaving an unmet or misunderstood gap in supporting women who may view their faith or spirituality as a source of empowerment. Conversely there is a sense of confusion and a real lack of awareness about the forms of support and practical help available to women experiencing domestic abuse and other forms of gender based violence, which can lead to suspicion and mistrust from community groups, community advocates and faith leaders that women turn to for help and advice. Often these women come from ‘hard to hear’ communities that experience multiple barriers such as gender and or racial discrimination, disability, poverty and ill health. Therefore, their local Imam or Pastor is the only source of support, who are unlikely to be the most qualified or knowledgeable about risk or appropriate and safe support for women and their children. On many occasions religious and faith leaders can knowingly or inadvertently collude with the abuse or abuser(s) and provide the veneer of religious justification for abuse. It was therefore a welcome and important step for the campaign group ICChange to host ( along with Faith Action and Restored) and secure the support of UK Faith leaders in the call for the ratification of the Istanbul Convention which was launched at the House of Lords on 5 December. It brought together Christian, Muslim, Jewish, Sikh and Hindu faith leaders to call on the UK government to ratify the Convention on violence against women and for MPs to support the Private Member’s Bill by voting for it on 16 December. The launch is a great example of how those advocating for equality and an end to gender based violence can make faith and religious institutions relevant and important allies in the fight against violence against women and girls. The Istanbul Convention, described as ‘the best thing you’ve never heard of’ is a set of life-saving minimum standards on tacking violence against women and girls that states should ensure when tackling this widespread phenomenon. If the UK government ratifies the convention it will enable a root and branch change in its response to support and protect women suffering violence and abuse. It will also be duty bound to prevent and tackle the root causes of violence as well as hold perpetrators to account through the criminal justice system. Four and a half years on from the government’s promise to make the Convention law we are still waiting for this to be realised. Here at Standing Together Against Domestic Violence, we have long advocated for a more coordinated community response to gender based violence and domestic abuse in particular. The most effective and lasting solution is one that brings together as many agencies, services and civil society groups including community and the family to support the needs of survivors; puts them at the centre of the response to abuse and holds perpetrators to account. Through our Safety Across Faith and Ethnic Communities programme (SAFE) we aim to address a gap in the response to domestic abuse. We know that most survivors of abuse will likely reach out to friends, family and community networks for help in the earliest stages of abuse. The SAFE Communities project will ensure that domestic abuse and violence against women and girls are tackled holistically by targeting support to those who will be most likely to be the first approached by survivors for help. We believe that working with and empowering communities to understand, recognise and address domestic abuse is essential. Grassroots communities and faith groups have the power and potential to make a real difference in the lives of survivors and hold perpetrators to account. Looking at the wider context, the current political climate promises long and protracted negotiations over our divorce from Europe and the rise of nationalist right wing politics across Western nations in America and Europe, the Private Members Bill which calls for the ratification of the Istanbul Convention, presents an important and narrow window of opportunity to safeguard more than thirty- years’ worth of advocacy, activism and hard fought battles to get us to the very lacking and imperfect state we are in today. It is precisely when the perfect storm of fear, economic and social instability, and the rise in regressive politics that the threat of hijacking faith for intolerant or oppressive rhetoric and purposes must be repelled by all people of faith and non. Huda has worked for over 21 years in the Third Sector. She has held various positions in local government, national and international NGOs and charities tackling a wide range of issues relating to social exclusion, justice, equality and conflict resolution. Huda currently works as a Domestic Violence Housing Coordinator at Standing Together Against Domestic Violence. Read more about her work and achievements on her website. Categories: Violence against women and girls, Women | Tags: Feminism, Istanbul Convention, religion, VAWG, Violence against women and girls | Permalink.